Item #499 - $235. Please specify on your order whether you want the leverback or the clip earrings. 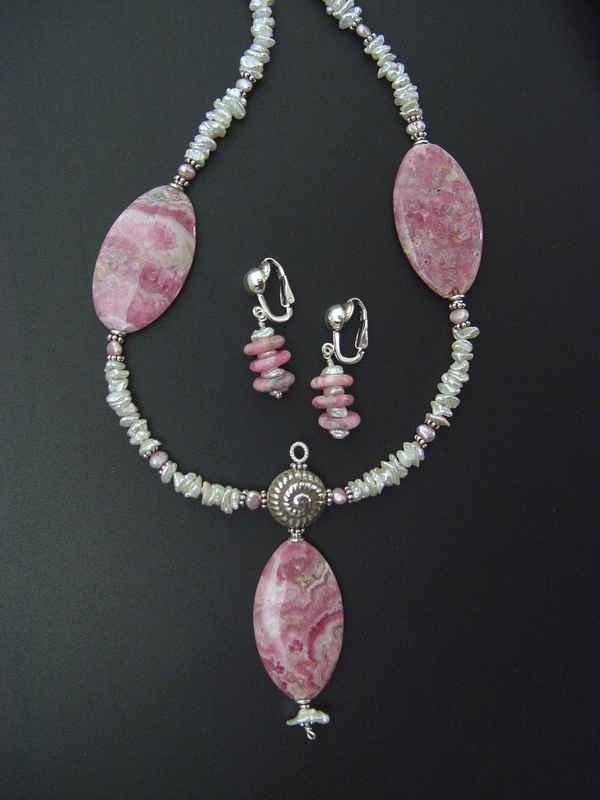 Luscious rhodochrosite beads with tiny pearls -- a simple composition highlighting the large flat rhodo beads. The Book of Stones gives rhodochrosite emotional healing and compassion and connects it with both the 3rd and 4th chakras. Simmons notes that pink is the color that expresses love, Ahsian mentions it is healing for the inner child. 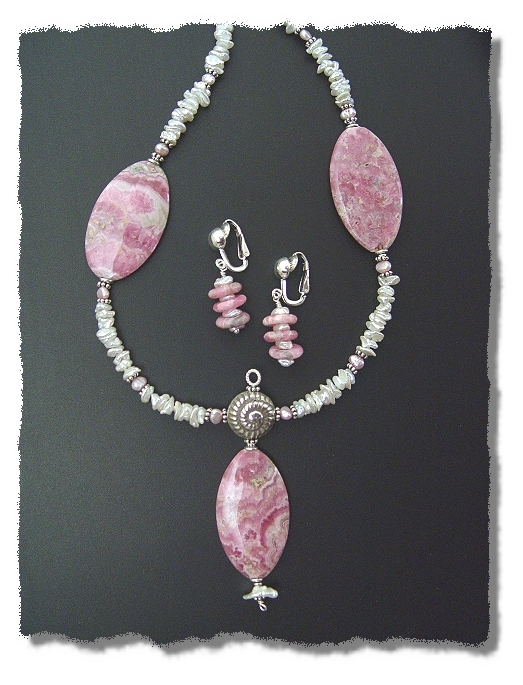 I hope you will love wearing this sweet necklace!